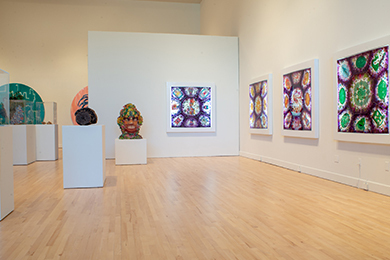 Edouard Duval-Carrié’s work navigates the historically rich and culturally complex traditions that comprise a uniquely Caribbean perspective. Duval-Carrié’s recent works attend to themes of water, travel, and Francophone culture. For him, water becomes both a symbolic passage and a barrier – the means by which enslaved Africans were brought to the Caribbean and modern-day Haitians migrate to the United States. Both circumstances have been driven by capitalism, a force that occupies Duval-Carrié’s work materially and iconographically. For “Decolonizing Refinement,” originally presented last spring at the Museum of Fine Arts at Florida State University, Duval-Carrié’s art is combined with historical artifacts related to Florida’s agricultural labor history. 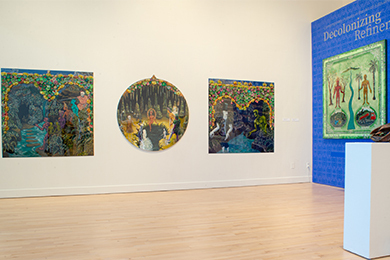 Khaulah Naima Nuruddin serves as curator for the FAU version of the exhibition. Nuruddin has selected artifacts in collaboration with Duval-Carrié that will be borrowed from Broward County’s African American Research Library and Cultural Center; the Florida Department of State, Bureau of Archaeological Research; the Delray Beach Historical Society; the S.D. Spady Cultural Heritage Museum, Delray Beach; and the Archaeology collection in FAU’s Department of Anthropology. Nuruddin has also organized a concurrent sister exhibition of Duval-Carrie’s work and historical artifacts to be presented at the S.D. Spady Cultural Heritage Museum in Delray Beach. 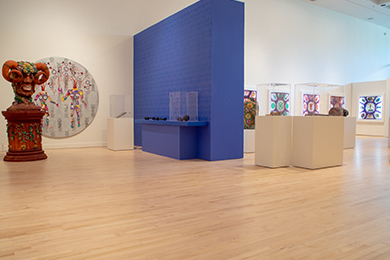 In January 2019, FAU’s new “Study of the America’s Initiative” will complement the exhibition with a series of multi-disciplinary public programs that employ the “Decolonizing Refinement exhibition as a point of departure to explore a variety of related social, political, and humanities themes.” On Monday, Jan. 14, 2019 at 4 p.m., an FAU faculty panel will present “Women’s Writings, The Economy and Social Justice in the Caribbean.” On Saturday, Jan. 19, 2019, an all-day symposium, “Visualizing Decolonization,” will be presented in collaboration with the Boca Raton Museum of Art’s “Imagining Florida: History and Myth in the Sunshine State” (Nov. 13 – March 24, 2019). 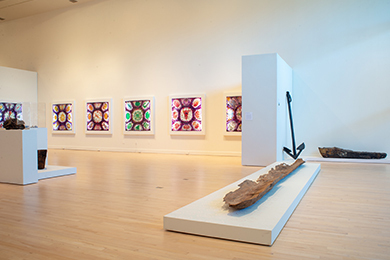 On Jan. 26 an all-day symposium at FAU will feature the Florida State University scholars who organized the FSU Museum of Fine Arts’ “Decolonizing Refinement” exhibition and catalogue in conversation with scholars from FAU and other Florida institutions.